After visiting the lovely Wakanoura district and two magnificent temples in Wakayama (I’ll come back to those another time), I take a wide detour on the way back to Nara. 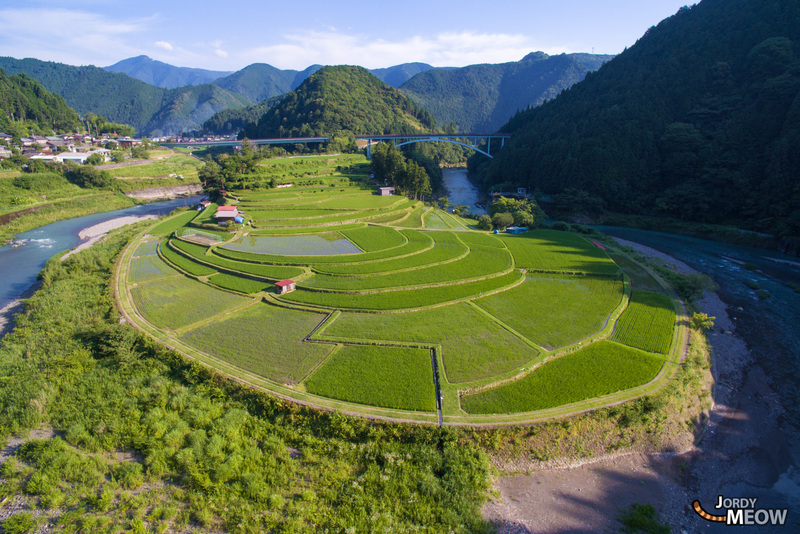 Direction the terraced rice fields of Aragijima Island! I’d expected no less. 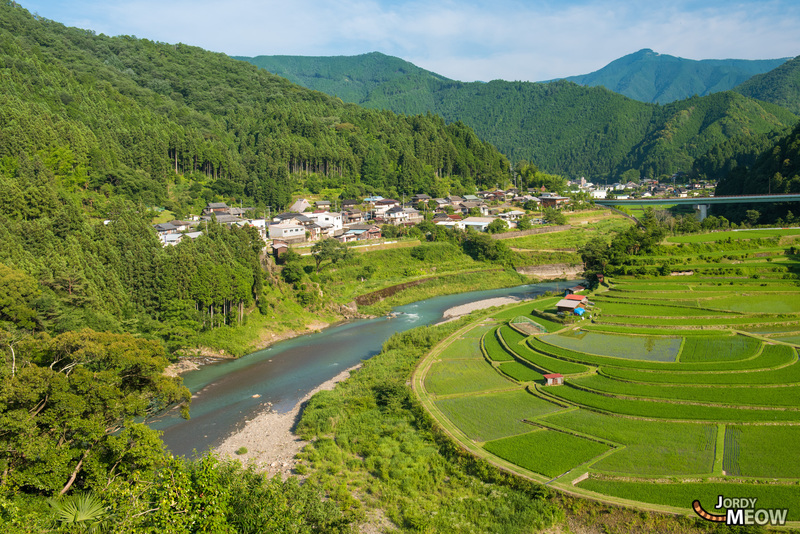 The view of the rice paddies is breathtaking! On the other hand, this viewpoint is a bit restricted. Luckily the drone’s in the car. Seems like the perfect opportunity to give it a whirl. Instantly an unobstructed and very clear view over the rice paddies. I specially like the view below, highlighting the original features of the site. These rice paddies are really unique! Evening is approaching and the light is excellent. Photographers mostly turn up early in the day to capture the morning freshness. In the end the sun’s going down faster than my batteries. So let’s have a quick look from high above! Surprise surprise … these fields remind you of … the quasi-national sport of Japan! Can’t you see it? 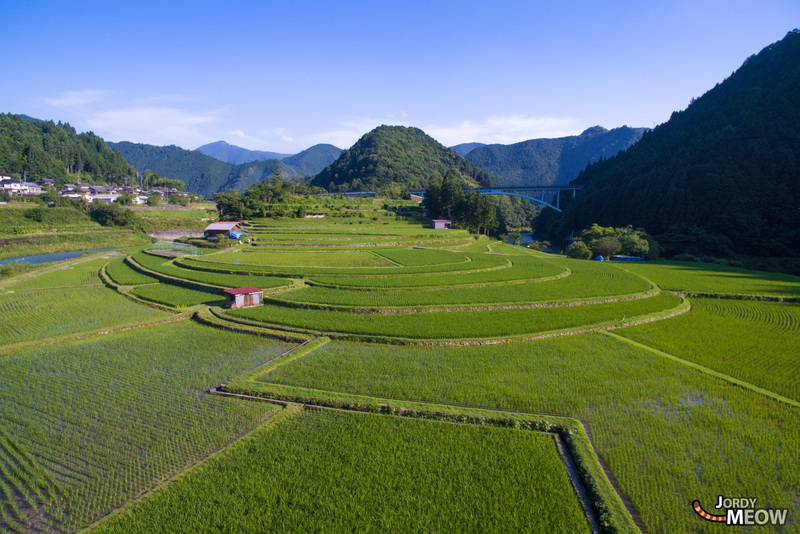 The rice paddies are lit up on winter evenings – an unmissable spectacle if you’re in the Wakayama area. If you’re near Kanazawa, consider visiting Senmaida Rice Paddies, which are also very beautiful under the stars.